Plow through that book you brought and start another - it's not often you can get through more than a few pages at a time. The secluded setting makes the scenery that much more spectacular. Neutral palette and beach-themed accents fit right in. Dri-fit up and go knock it out. Santa Rosa Beach & Golf Club is a 12 minute drive away. Secluded and serene, the upscale Mediterranean-style Sanctuary by the Sea is the only Santa Rosa Beach condominium resort with water on two sides and a private gated community on the third. Also boasting the most Gulf frontage along the famous Scenic Highway 30-A, this 23-acre property offers stunning views across a rare coastal dune lake and nature preserve, in addition to the sparkling Gulf beyond. Perfect your swing in the virtual golf area before heading out to play the gorgeous local courses. Or simply lounge around the three pools for a few hours before relocating to the spectacular white sand beach. Toss frisbees or footballs, taking the occasional break to go supervise the sand castle construction. See who’s up for canoeing across the lake – first team there and back gets to choose where you go for dinner. Posh Mediterranean-inspired vacation residences include high-end architectural touches like iron railings, Palladian windows and arches. Custom-designed by local builders Dougherty and Chavez, each three-bedroom condo offers both Gulf and lake views from private balconies – the perfect spot for sunset-viewing over cocktails. You’ll appreciate the attention to detail, with ten-foot ceilings, eight-foot doors, travertine floors and two-piece crown molding in the living room, master bedroom and bath (with jetted tub). The gourmet kitchens are well appointed with Viking appliances, granite countertops, and custom cabinetry for stashing your family’s favorite snacks. Gas fireplaces and wet bar make for cozy nights in, especially in the off-season. Flip on a movie in your living room, or check out the onsite theater. Umbrella and chair service is available along the 650 feet of beachfront, or head for Big Redfish Lake to the west, where you can fish, canoe, YOLO board or kayak. Big Kahuna’s water park and the Buccaneer Pirate Cruise are both slam dunks with kids. Or if you’re looking for something less outdoorsy, Destin offers shopping, spas and restaurants galore. - Front desk is open 9:00 AM-5:00 PM daily. Check-in for this property is based at a different location: The Gulf Place Community, 95 Laura Hamilton Drive, Santa Rosa Beach, FL 32459. Guests that are planning to arrive outside of normal front desk hours can pick up keys from lockboxes located outside of the front desk. For more information please contact the property using information on the booking confirmation. The individual making the reservation must be 25 years of age or older and must occupy the rental property the entire term of the reservation. Singles under 25 are prohibited unless accompanied by parent or legal guardian. 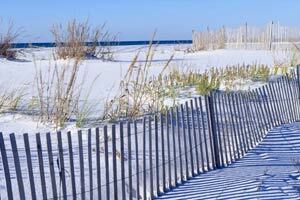 The high rises of Sandestin give way to state parks and quiet beachside neighborhoods. South Walton includes Grayton Beach, Santa Rosa Beach, Seaside, and Seagrove Beach.